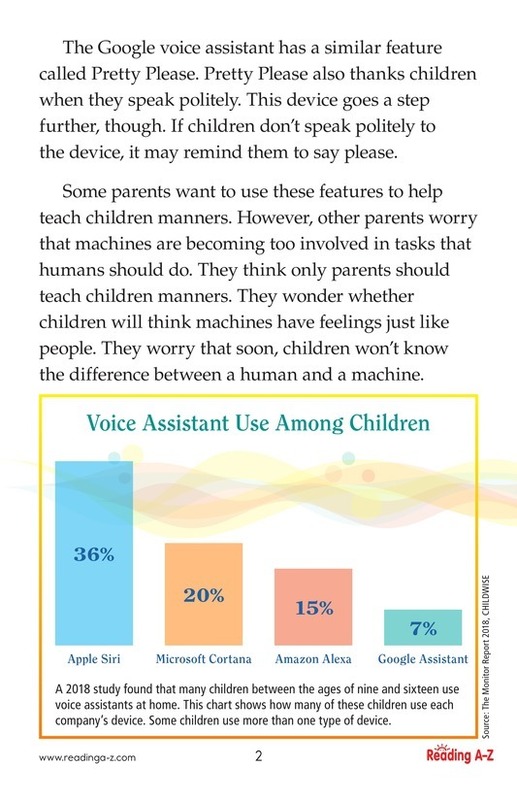 Voice assistants are becoming common devices in many homes. Parents have expressed concern that the devices are teaching children bad manners. 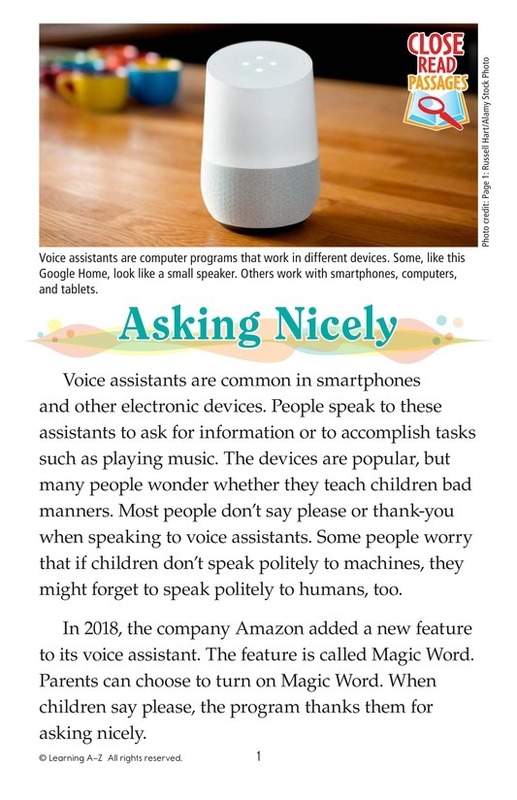 Some companies have added new features to the devices to encourage children to speak politely. However, some believe these new features give too much power to machines.